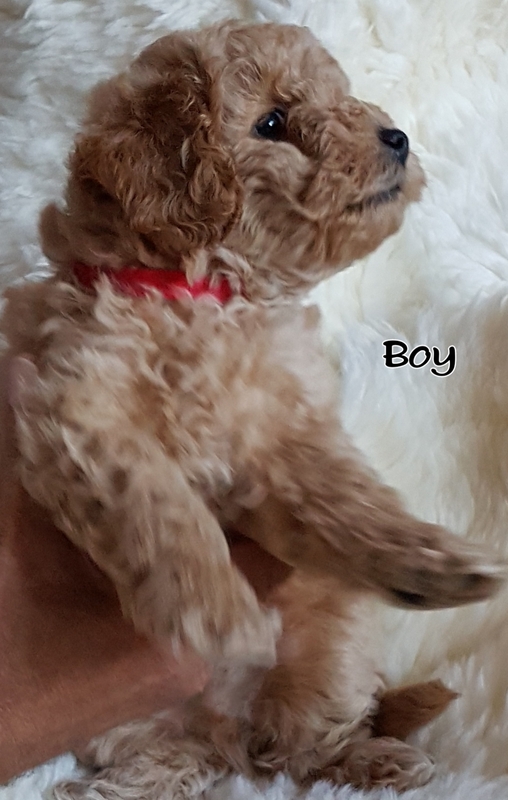 I have available 4 stunning F1b Jack-a-poo puppies, ready to go to their forever homes on the weekend of 18th/19th August 2018. 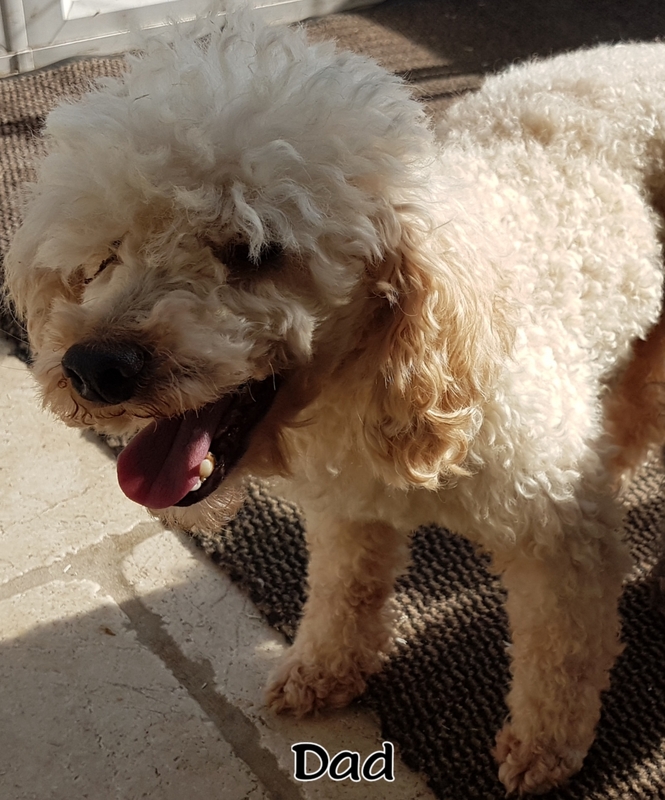 I am an experienced hobby breeder with involvement in a variety of breeds over the years; however, due to my health I now only breed 1 or 2 litters a year of the small breed variety. Nevertheless, I pride myself on the good breeding and housekeeping practices I follow. I believe that the good management of the parents is the key to ensuring both the health and temperament and overall quality of my puppies. That said, the most important aspect of good dog management is ensuring my dogs are happy, healthy and loved. 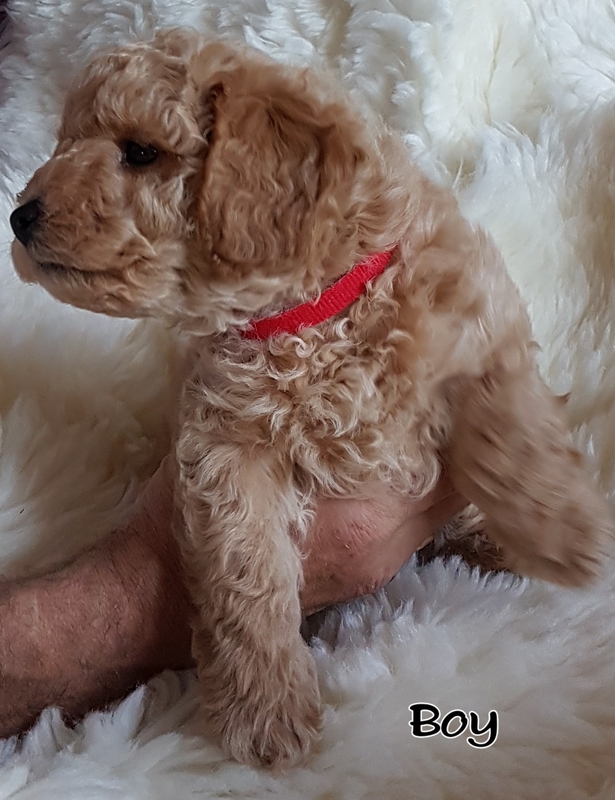 These puppies were born in the home and have continued to be reared in the home, around people and many dogs of different breeds and ages, in addition to the normal household activities and noises you would expect. These puppies have been specifically bred for temperament and build and to this end have been bred from carefully selected parents. Both parents are excellent examples of the breed. The puppies are already displaying wonderful temperament characteristics. They are extremely affectionate and gentle but don’t be fooled, if you stand still for too long your toes or trousers are fair game, and they love nothing better than to climb all over the ‘hoo-mans’ to play and give kisses and cuddles. 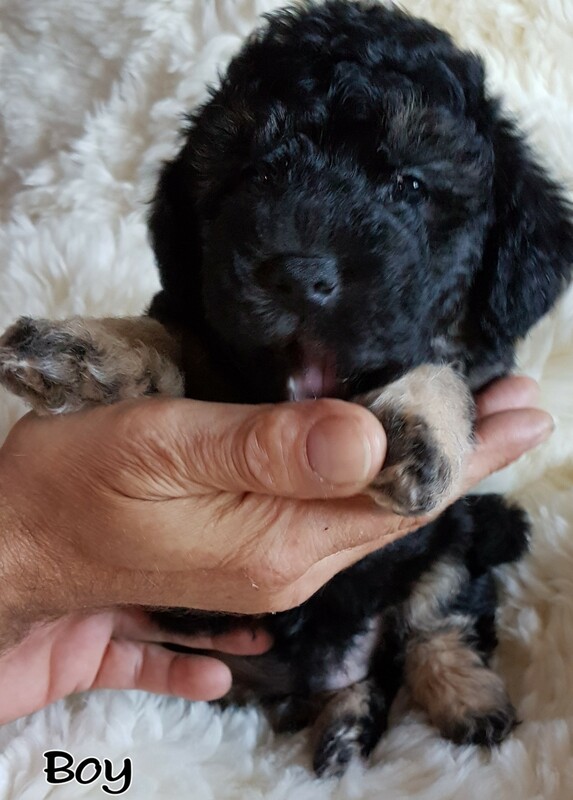 The puppies are ¼ Jack & ¾ Poo and have stunning thick coats with beautiful soft fur. As you can see from the photos, the puppies, have a ‘teddy-bear’ look to them; making them even more adorable. Due to the bloodlines, the puppies will be low to none moulting and based on historical mating from these bloodlines, the pups will likely be of small build with short legs as adults. The Dam, a very fluffy/scruffy, black short legged F1 Jack-a-Poo, was bred by me. 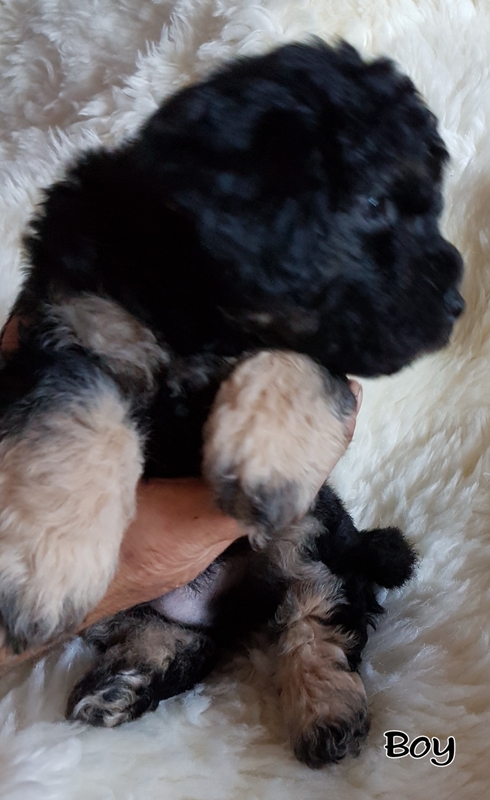 Her mum, puppy’s Grandma, is still with me and Grandma and a number of other maternal relatives are available for you to meet, when you come to meet the puppies and Mum.. 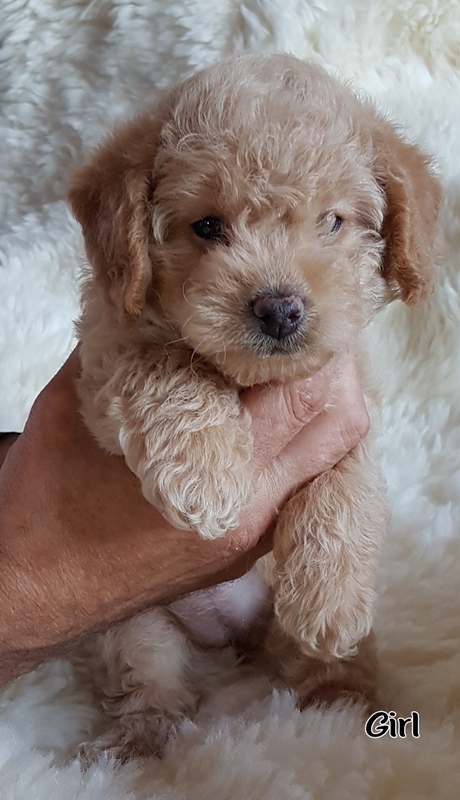 The Sire is a KC registered Apricot Toy Poodle who is DNA tested Clear/Normal for prcd-PRA and stands at about 12 inches/30 cms. Photos and details of his pedigree and health certificate are available to see at the time of viewing (copies supplied in Puppy Pack). The Sire is not available to view with the puppies as I used a proven stud dog from a local reputable breeder. I have used this Sire previously and the feedback from the puppy’s owners to date has been exceptionally good. He is particularly praised for his puppy’s gorgeous coats. The puppies have enjoyed a good well balanced start in life and during their first 8 weeks as well as being treated for worms and fleas in line with veterinary guidelines, they have been well socialised with people of all ages and many other dogs. 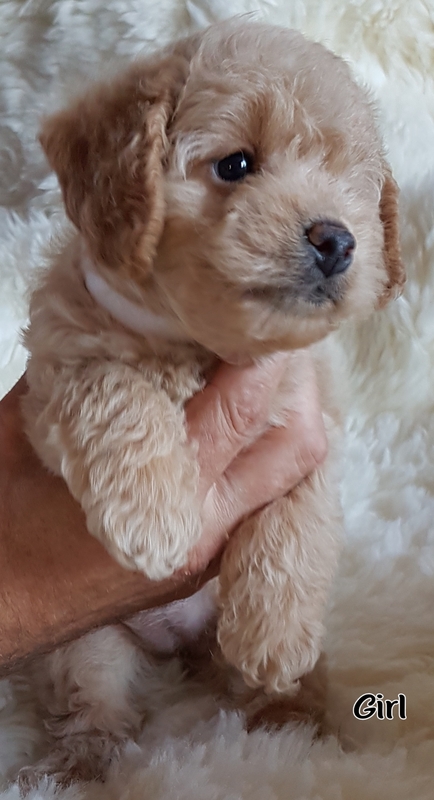 It is important that prospective owners understand what is involved with owning a puppy, have appropriate accommodation and the right level of commitment. To this end, I insist that all prospective owners visit the puppy and Mum in their own environment. When the puppies leave, they will have had their first injection, been micro-chipped and will come with a generous puppy pack, including a scent blanket and food, free insurance and a lifetime of support and advice. The puppies are now ready to be viewed and a £100.00 non-refundable deposit secures your chosen puppy. If you have any questions, would like further information or would like to arrange a viewing, please contact me by phone (mobile preferred) or email.